When you think of the Las Vegas Strip, the first thing that probably comes to mind (while you hum Elvis' "Viva Las Vegas") is gambling, booze and flashy, glittering signs. While the strip is definitely full of lights and glamour, nothing compares to the larger-than-life neon signs of old-school Vegas. As casinos traded in the neon signage for sleeker LED and LCD panels, the once popular signs of yesteryear were left to decay and be forgotten. :: Cue sad violin music::. Fast-forward to 1996. 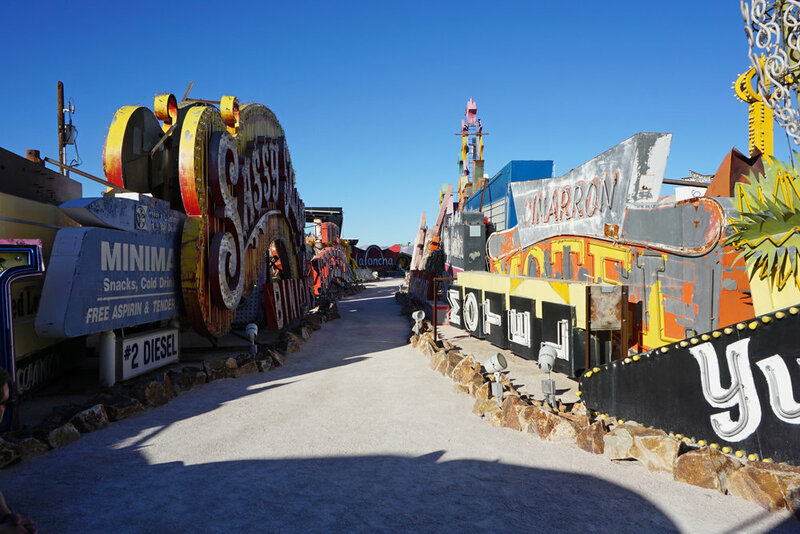 The Allied Arts Council of Southern Nevada and the City of Las Vegas collaborated to create The Neon Boneyard Museum. The independent non-profit preserves an important piece of Vegas' history by housing over 150 iconic signs. The museum offers tours seven days a week about the history, design and legacy of the massive pieces. The next time you're in the city, step away from the craps table long enough to get a one-hour history lesson about the rise and fall of these beloved signs. Tip: Make sure to book tickets in advance, as each tour has limited slots.